A quick trivia question: What do Australia, India, New Zealand, South Africa, Sri Lanka, West Indies, Bangladesh, Pakistan and England have in common? They all regularly field Test, ODI and T20 teams every year. Furthermore, they all hold first-class, one-day and T20 competitions every year. I’ll state for the record that I wrote an article before the series outlining reasons why I thought Australia would still win the thing. Australia’s top six put paid to that suggestion at the MCG and made me look like a complete chump. One of the many excuses volleyed around when Australia loses in a batting collapses is the existence and preferential treatment of T20 cricket in this country. Players are fed a near year-round diet of T20, and the Big Bash League is the centrepiece of the Australian summer. Therefore we’ve bred batsman with aggressive flair, which they’re bringing into first-class cricket, leading to silly shots, poor concentration, poor technique et cetera, right? Wrong. It’s undeniably true that Cricket Australia has shown an overt preference to the BBL when it comes to scheduling cricket every summer, but so has every other administration. Cricket Australia are not unique in this regard. They are following money like every other administration. But Australia is the only country where T20 is repeatedly used as the excuse. Most of the other Test countries don’t have the same concerns about their Test teams, at least so regularly. So if other Test nations have T20 leagues and also have decent Test teams, T20 cannot be an excuse in Australia. It just doesn’t make sense. So, what’s the problem with the batting in Australia? Attitude and intelligence. Australia adheres to ‘positive cricket’, a flawed, mythical attitude that is ultimately hokum. To be clear, I’m not referring to this term as a contrast to Australia’s sledging and mental disintegration; rather, positive cricket exclusive playing the game – for example, a batsman looking to score quick singles, show scoring intent et cetera. We’ve heard this term a lot over past decades. Australians play a style of cricket where the batsman looks to always be on top of the bowlers, always looking to score, sneaking the quick singles, turning twos into threes, breaking the pressure with a boundary and so on. But you never hear about the batsman considering match awareness, the condition of the pitch, patience, letting balls go or the idea that Test matches aren’t won in a session but are sure as hell are lost in one. Positive cricket is a myth. What the batsman needs to do is play cricket. T20 is not to blame for this. The same principles apply in T20 as they do in Test cricket – play each ball on its merits and show awareness. Too many batsmen have been cast aside because they haven’t played positive cricket. Mitch Marsh gets chance after chance because of this. He’s wanting to play shots and looking to score. David Warner looks to score, but some of his finest innings are the ones in which he hunkered down. Few forget his first century – the one on a minefield Day 5 Hobart pitch. It was also his slowest. Positive doesn’t need to mean fast and shot-laden. It’s not the fault of T20 that Aaron Finch played a ridiculous cut shot straight into the mitts of Virat Kohli. It’s not T20 that caused Mitch Marsh to exhibit the footwork of an elephant in concrete. Pick any collapse this year and it’s not T20 cricket causing it; it’s a philosophical issue. Cheteshwar Pujara and Kohli batted maiden after maiden after maiden. That was positive cricket – they wanted to win the match and built an innings around that mindset. Either batsman looking to hit out of pressure has actually succumbed to negative cricket. They feel they are under pressure and know it and thus have a brain fade. In fact batting three or four maidens in a row just means the bowler is in that part of the match amd not giving a free one away. But they will eventually – they always do. Australia prefers batsman with strike rates close to or better than 50. That’s ‘positive’. But that’s also stupid. Australia should be preferring batsmen who aren’t gifting wickets. Any team should. As they do in T20. Batsmen with strike rates of 140 and mid-30 averages are gold dust and prefered over batsmen with strike rates of 180 but averages in the very low 20s. Preserve your wicket, read the match, play each ball on it’s merits – it’s the same in any code of cricket. T20 is not to blame. Comparing Pujara and Usman Khawaja in the last Test is instructive. Both are No.3s. Pujara had a strike rate in the 30s, Khawaja had one in the 50s looking to play positive cricket. Pujara got a century and crafted a matchwinning innings, Khawaja was dismissed in the 20s. Pujara is on the winning team, Khawaja is on the losing team. 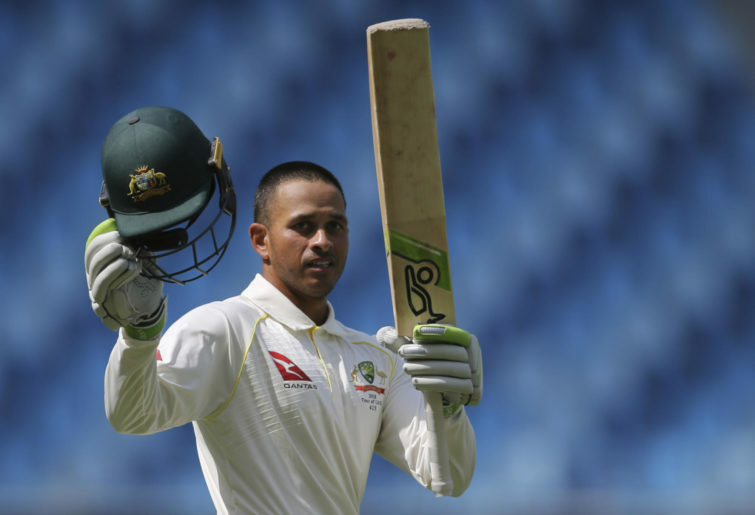 The ironic aspect is that an Australian batsman should be talented enough to employ a different and more patient approach to building a Test innings. Why? Because all the other countries do it too. Look at Sri Lanka in New Zealand – two batsmen batted an entire day and saved a Test, proof that batsmen can still do it even in the T20 era. Sri Lanka played each ball on its merit. They respected the match situation – they were 300 runs behind, so trying to hit out would guarantee a lost Test. They saw the pitch getting better. Patience would be rewarded. That didn’t necessarily mean a go slow – they still scored 240 runs that day. New Zealand also won a series in Pakistan by playing each ball on its merits – although Yasir Shah still cashed in. Australia could have done this too. They actively chose not to. A scoring rate of 2.1 is anathema to Australia. Respecting the pitch was a non-starter. It wasn’t a great pitch, but it still demanded a bit of respect. One team respected it and scored 400-plus. The other team made it look like a minefield when in fact it was just slow. The bottom line is that Australian batsmen play as if they expect the bowler to put the ball on the exact spot on the pitch at the right pace so they can gleefully smack a boundary. The Indian line-up saw a bowler running in and said, “I don’t know where he’ll bowl this, so I’ll wait and see first”. Sadly, Australian batsmen would not make good Jedi knights. Batting is ultimately a very simple act. The principles are uniform across the three forms. Respect the pitch, demonstrate match awareness, play each ball on its merit. Don’t blame T20 for Australian batsmen not being able to understand this. Blame the attitude.